Stefanie Mendoza is the Designated Broker and Director of Operations for Specialized Property Management, and has been with the company since 2008. 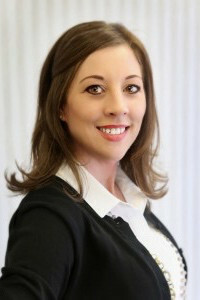 She has over ten years of experience in residential property management and operations. Ms. Mendoza is primarily responsible for the oversight of the Leasing, Maintenance, & Operations Departments, in addition to communication with owners, residents, and vendors. Her responsibilities also include staff compliance with all laws pertaining to residential property management. Ms. Mendoza conducted training for over 165+ property managers and developed best practice processes, currently being utilized by over 120 offices nationwide. Prior to joining the company, Ms. Mendoza had a career with American Airlines, focusing on service, training, operations, as well as quality control compliance. Ms. Mendoza received her Real Estate Broker’s license in 2013. In her spare time, she enjoys traveling, reading, and spending time with her husband and daughter.